Travelling to Africa is about more than just ticking boxes. It’s the experience – the faces, the stories exchanged, the sounds that lull you to sleep at night, the emotion and the endless awe. 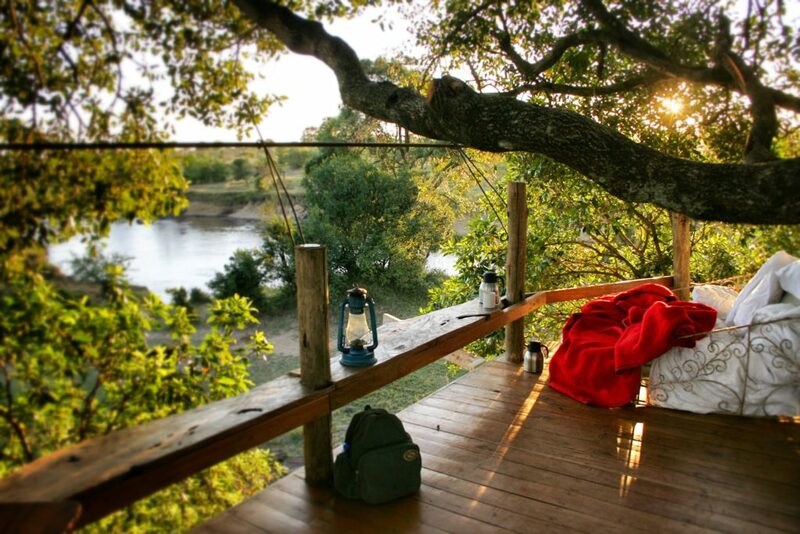 One way to really take your experience to a whole new level is to consider spending a night outdoors… whether in a tree house, fly camping on a river bank or in a remote star bed… this is a way to truly honor your surroundings and get a taste of what the real African wilderness feels like. Where are these experiences offered? From Kenya and Tanzania, to South Africa, Namibia and Botswana, as well as Zimbabwe and Zambia, you are spoilt for choice as to the variety of luxury tree houses, desert bed rolls, and fly camps in remote corners of national parks and wildlife reserves! In no particular order, here are 5 of the best star beds, and sleep outs in Africa. A giant birds nest designed by architect Daniel Pouzet, this most unusual way to spend a night is every bit as exciting as it is luxurious! A firm favorite. Another favorite are the camps of Alex Walker, better known as the Serian Camps. In addition to delivering one of the finest safari experiences with a perfect combination of authenticity and elegance, guests who stay here have the chance to spend an evening in a remote and beautiful tree house on the west of the Mara River. A luxurious tree house with a fully operating bathroom (hot shower, and loo with a view! ), fine linen and a four-poster bed where you are left to overnight with a picnic basket of bites and drinks. It’s hard to believe you are in the middle of nowhere! 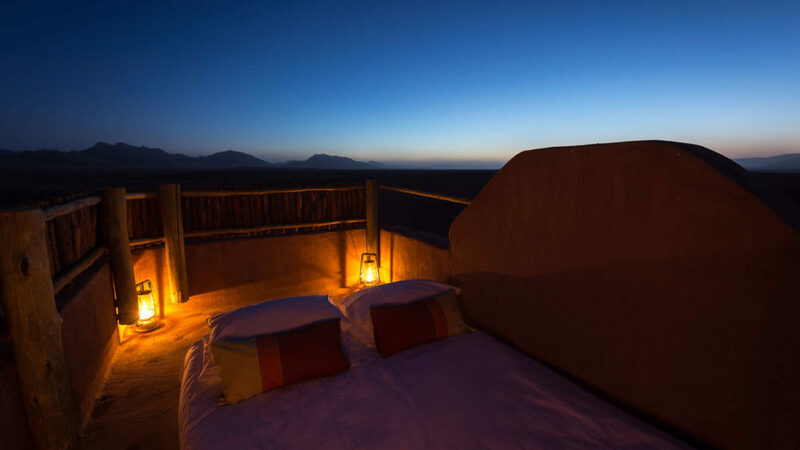 In the middle of one of the worlds most vast and beautiful desert landscapes, lies Kulala Desert Lodge where it is possible to sleep on the roof of your room – we cannot begin to tell you what this night sky is like– you have to go and experience it yourself. 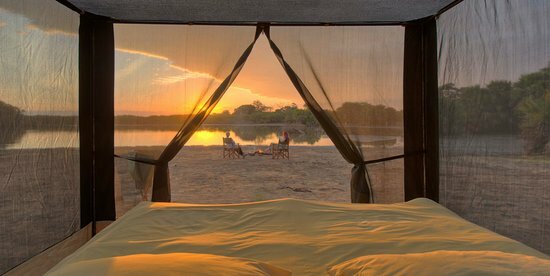 Spend the night on a dry river bed in the remote Selous National Park in spacious, cube-shaped mesh tents, where there is zero light pollution and 360 degree views from your bed. Find out more about this camp. 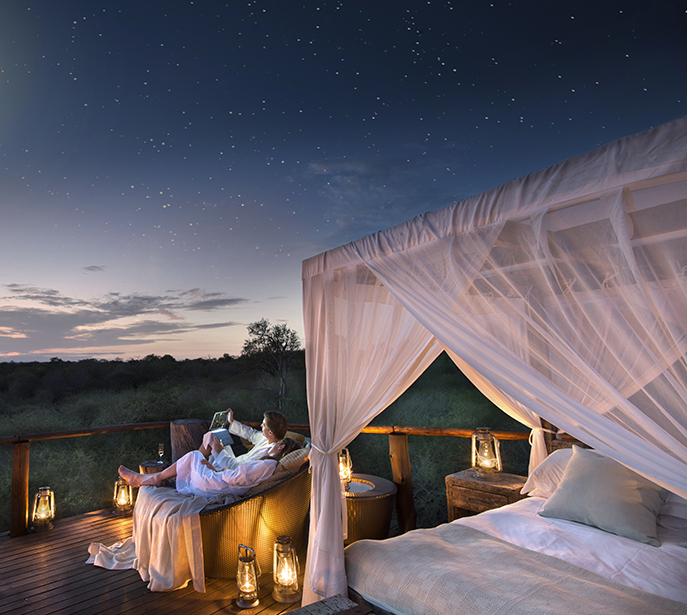 Enquire now about a unique night under the stars in Africa!